Kirk Gourley is creating sculptures and other unique art pieces! You can always stay up to date with my projects via instagram! 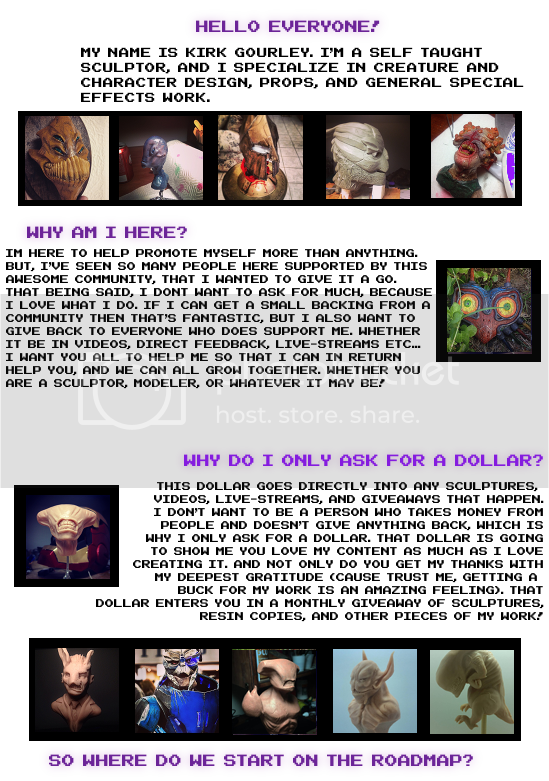 This dollar goes directly back into content, sculptures, and livestreams. Not only that but it enters you in a monthly drawing to recieve a resin cast of my sculptures! Monthly drawings, all expenses paid, and just for a buck! I'm constantly sculpting new things and I would love to give back to everyone who supports me. So with these small goals i'll be able to give more back to you. 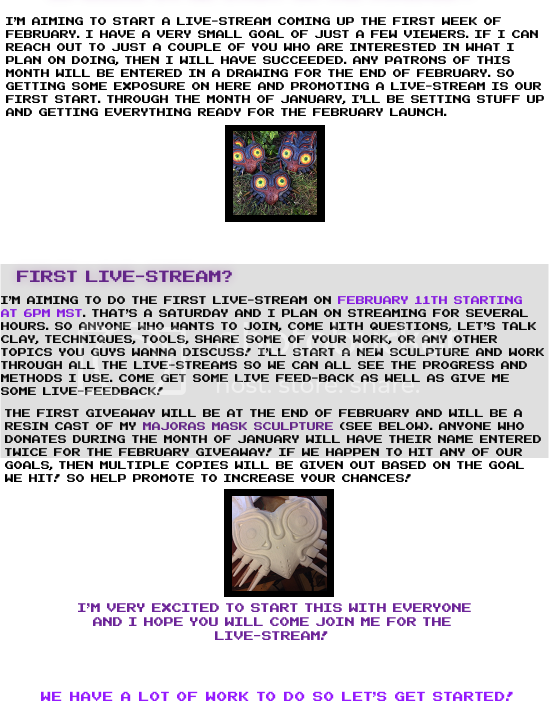 Once we hit $100, I'll do 2 sculpture giveaways a month!